13 More antennas, less radiation? 14 Is there RF radiation below the antenna? Cellphone antennas have become part of our daily view. There are some very complexes technical and ethical questions related to cellphone antennas. One thing is certain, the public is full of fear when it comes to cellphone antennas while most of the public use their cell phones, iPhones, cordless phones, tablet PCs, WIFI routers and wireless laptops without any worry or fear. Some people refuse to acknowledge that there are wireless technology junkies while they abuse their devices and expose themselves to RF radiation from these devices, for long hours, day after day. Some people will go to protest rallies about a mobile phone mast, but will never think to stop using their mobile phone just for an hour. It is important to understand that cellphone needs their antennas. As there are more and more cellphones and as cellphone use increases there is a growing need for more antennas to service these phones. If you bought several cellphone for your family and you all use them heavily, you are actually creating a need for more antennas next to your house or working place. Remember - Each time you use your cellphone you create the need for more antennaד! For years I have avoided writing a page on cellphone antennas (masts), since I think there is a lot of other thing we can do to minimize our exposure to RF EMR before trying to deal with this complexes meter called cellphone antenna. 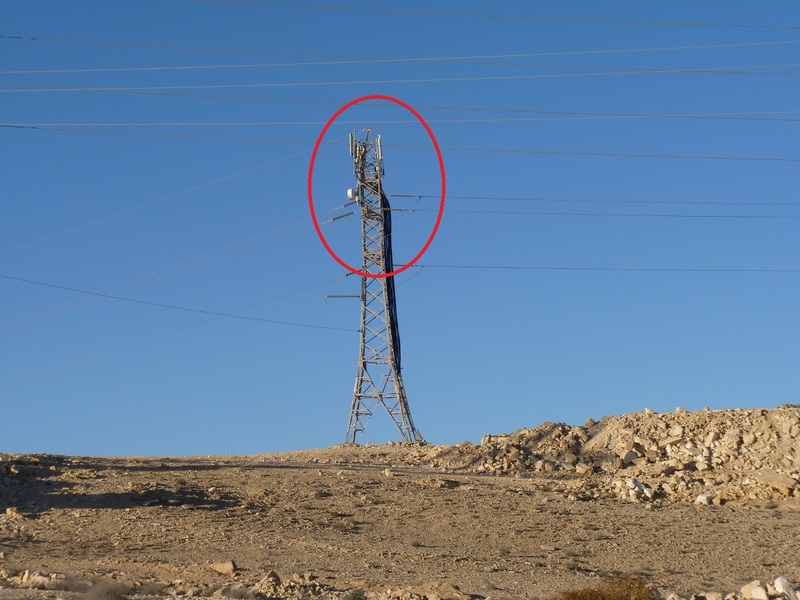 Dealing with cellphone masts and the RF radiation that is emitted from them is not simple. This is in comparison to in house RF and ELF sources that you can control, move, replace or switch off. In most case, these in house RF emitting devices will contribute more RF to the in-house level than the nearby cellphone mast, in most cases! But there are other cases in which people already handled all the in house RF sources and their only remaining problem is the RF radiation coming from the cellphone antenna near their house. For these people, I wrote this page. 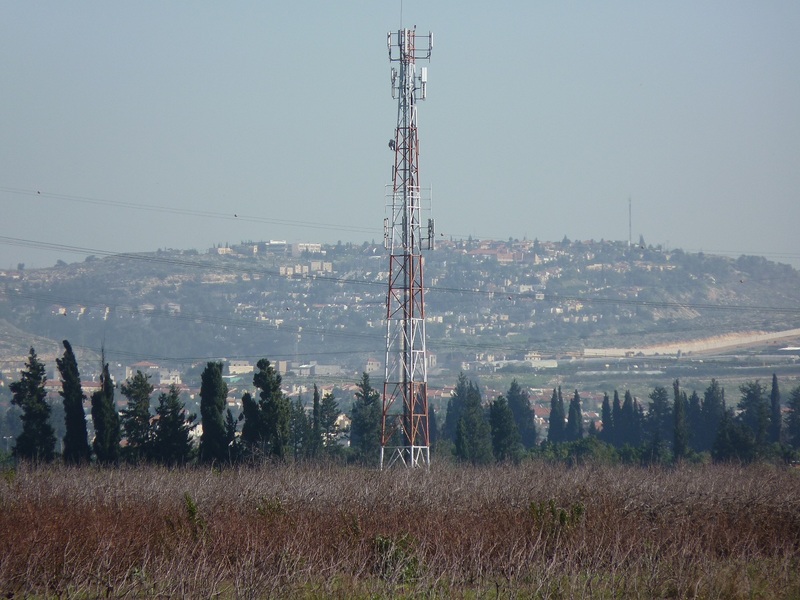 Most cellphone antennas are assembled on cellphone towers (mast). Sometimes on a single tower, there are several sets of antennas, each for a different frequency, different technology or different company are installed. 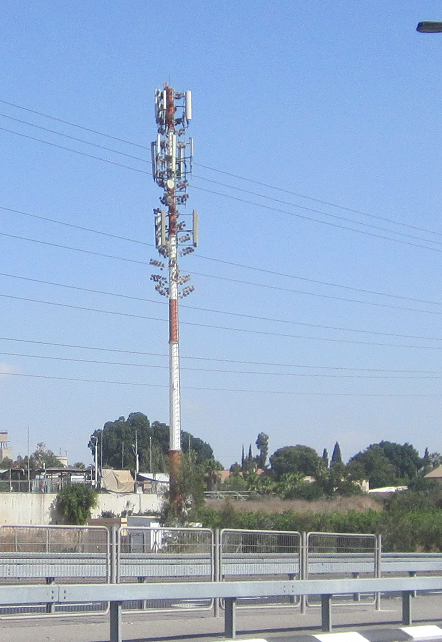 Some towers are tall, some are short, some are shaped like a tree, a cross or even a cactus, but they are all cellphone towers. 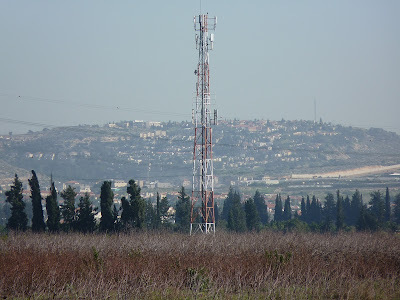 In some cases that the mobile phone antennas is camouflage in order to limit the opposition to the tower, saying "if you can't see it, it does not hurt you". In some case (mainly in cities) the mobile phone companies will install sets of mobile phone antennas on top of toll existing buildings. One of the rooms and the top of the building, roof or spire is rented to the cellphone company. 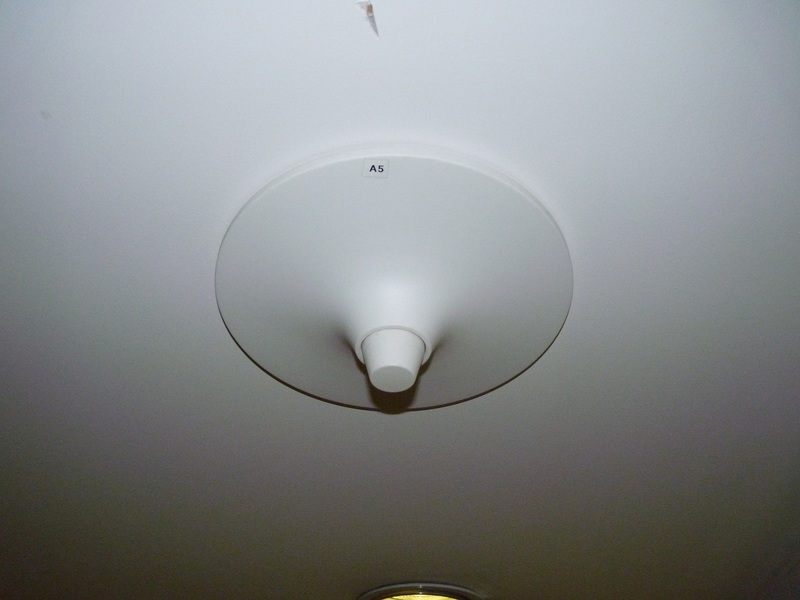 In the room, the mobile phone company installs their equipment that drives the signal to the antenna. On the roof, they will install the antennas. The people who live and work on the building where the antennas are installed on, especially on the near the location where the the antenna is connected to the building will be exposed to radiation from the side lobes of the antenna. People who live or work across the street might be exposed to the main lobes. Every antenna needs a wide set of electric, electronic and computerized equipment in order to work. Amplifiers, RF transmitters, servers and controllers, air condition, backup power supply units and lots of cables. All this equipment is usually stored in a room or a container which is very close to the antenna itself. This equipment is usually a source for noise (from the air condition units) and Extreme Low Frequency (ELF) Electromagnetic Radiation (EMR) from the power units, electric cables and other equipment. 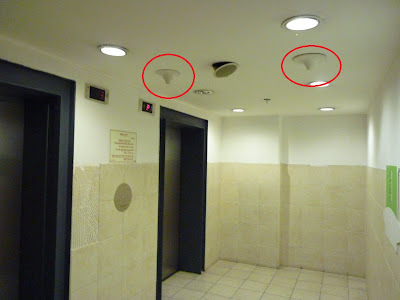 Inside office buildings, in shopping malls, in underground parking, in the subway tunnels and in many other locations when there is no access to cellphone towers (reception), indoor micro-cells and small cellphone access points are deployed. These devices are like small cellphone antenna and they emit RF radiation all the time. They create a small wireless cell and service the phones near them. Without these devices using a cellphone in these places would have been impossible. People that work, live, sleep or stay in the close vicinity of these antenna will be exposed to high levels of RF radiation all day long. Cellphone antennas transmit and emit High Frequency non ionizing radiation all the time. The transmission level is measured in Watts. Each antenna has a certain gain according to it's physical characteristics, shape and type. The effective transmission power output from an antenna is called "Effective Isotropic Radiated Power" (transmitter output power X Antenna Gain) and is also measured in Watts. The RF radiation level that can be measured in the air is called "Power Density" and it is measured in "Micro Watts Per square cm" (uW/cm2) or "Milli Watts per square meter" (mW/m2). The RF radiation is composed from two fields, electric and magnetic. In High frequencies, the magnetic field is less important. The electric field can be measured in Volt per meter (V/m) units. Cellphone antennas emit RF radiation all the time. The level of the radiation may change during the days according to the wireless traffic, but there is always some level of radiation. Cellphone antennas transmit control signals to all the cell phones in their surroundings all the time. This is the source for the constant radiation. In addition to the control signal cellphone antennas emit more RF radiation in order to create the transmission needed to make calls and send/receive SMS, emails and data communication. This addition varies during the day and night and cause the fluctuation in the radiation levels emitted by the antennas. The RF signal that can be measured from cellphone antennas is the combination on many different signals in different frequencies. It is assembled from all the signals that are transmitted from all the antennas on all the masts/towers that are in the vicinity where the measurement is being done. Measuring RF radiation from cellphone antennas (multi frequencies from many sources) is not a simple task. Most simple RF meters will not be capable to measure the correct level of radiation in open air because of the their limitations such as sampling rate, slew-rate, measurement of only the strongest signal found, measurement and calculation techniques and other reasons. These meters will be able to detect the radiation and show a partial level. In some countries, official government testers use simple meters to measure the RF radiation, which is a mistake. In order to know exactly what signals are in the air, their levels and then to try and analyze their health effect you need a very fast spectrum analyzer. The spectrum analyzer has to be fast because the high frequency of the signals measured (between 0.5-3GHz, and sometimes even more). The spectrum analyzer will show you all the signals across the frequency span and their electronic level (measured in dBms). Health assessment of the levels should be based on the numbers of signals, their frequencies, and their max, min and average levels. Building materials such as stone, concrete, blocks, breaks and even wood can block some of the RF radiation, depending on the material and thickness of the wall. Glass (windows), on the other hand, does not block any RF radiation. In order to block the RF radiation coming into the house via the windows, you need to cover the windows with RF blocking film, use curtains from RF blocking fabric or both. If the cellphone antenna is close to the house or if the RF levels are high, some of the RF will penetrate via the walls. In these cases, you might need to use some RF protection-blocking materials on the walls, for example, RF blocking paint or wall papers. Lots of people are very worried from the antennas 500 meters away from their windows while they are constantly using their smart phones and they have WIFI, DECT cordless phones, wireless computers, Bluetooth equipment, smart meters and other wireless devices in their house. Before taking action because of an external cellphone antenna and before installing RF protection, I recommend removing and dealing with all in-house RF sources. Please understand that when you use your cellphone you create the need for more antennas. If you are concerned from the health risk of cellphone antennas you should also limit you cellphone use to the minimum possible. In contrast to RF exposure from cell phones, the exposure from a cellphone antenna is a more robust because it is full body exposure and the user is exposed to more frequencies. If for example, you would move 1 meter farther away from a working UMTS mobile phone, you would reduce your exposure a lot. On the other hand, if you move 1 meter farther away from a UMTS cellphone antenna, you would not reduce your exposure drastically. When you use a cellphone, your hand and head gets the most radiation, other body parts gets less radiation. If you stand opposite to a cellphone antenna, most of your body will get the same exposure. In theory, if you have a cellphone antenna next to you, your phone will have to transmit lower RF levels in order to reach it. But this is not the full story. The exposure from your cellphone can be reduced by you if you talk less, or use a speaker phone of a wired earpiece. Your exposure from the cellphone antenna is 24X7, you can't control it, reduce it or stop it in an easy simple way (blocking and shielding is possible but costs money). In addition, in every country, there are many mobile phones network for different brands and companies. This contribute to the chance that even if you have a cellphone antenna right next to you it will not belong to the company that service you, so your phone will still have to emit high levels and in addition, you will be exposed to radiation from the antenna 24X7. The main reason that more and more cellphone antennas are being deployed is to handle the bandwidth of mobile communication that people use today. Deploying more and more antenna will not improve reception; it will just enable the cellphone companies to sell more mobile phone services and to pass more traffic to people who want to see the football game on their smart phone or 3G or 4G device. Therefore more antennas will always mean more radiation and when you watch TV, or talking for hours on your cellphone, you actually creating the need for more antennas. Is there RF radiation below the antenna? Some public officials, cellphone PR, engineers and common people (that think they know) claim that below the antenna there is no radiation. This is true only in the theoretical world. In real life, there are always secondary lobes of radiation emitted from the antenna (as shown below) and if there are buildings around some of the radiation is redirected back and hit people and buildings under the antenna.